Originally written by Michael K. Johnson for Linux Journal, vlock is powerful security tool which enables System Administrators to lock their active console without logging out of the terminal session. It is the perfect complement to VWM and can easily be added to the menu. 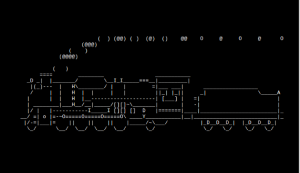 The code has been maintained by a number of different individuals over the years and the version hosted here is a fork which features an additional “train” screensaver ported from the SL tool. Please check in often as the code will be receiving up periodic updates. Likewise, we welcome anyone to contribute code.